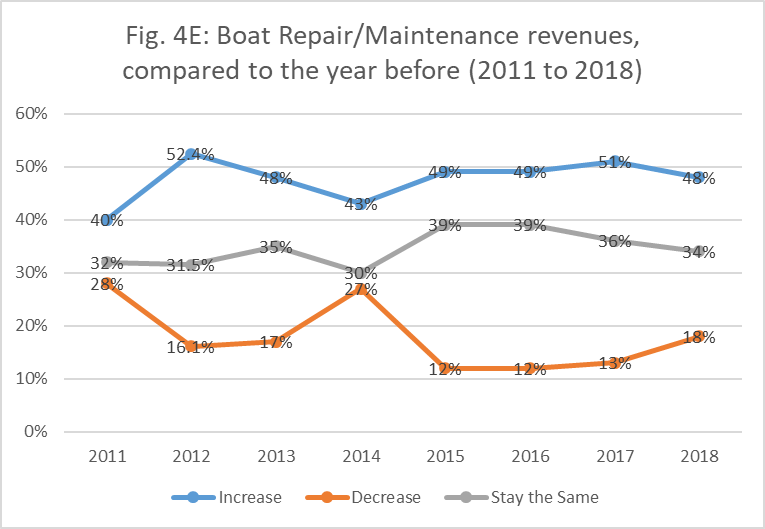 Editor’s Note: For many years, Marina Dock Age magazine has collected marina and boatyard statistics via online surveys. 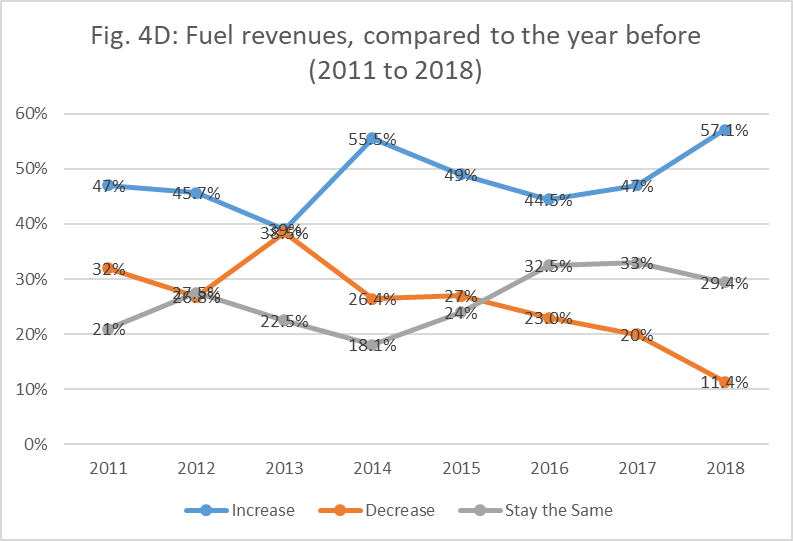 The trends here represent that data, some back to 2009 to 2018. We have additional trends data in our annual Trends Report and on our website (www.marinadockage.com). Last year the number of facilities reporting increased occupancy rates, dropped by almost 8%. This year that drop was matched by a 14% increase, the highest number since 2009. 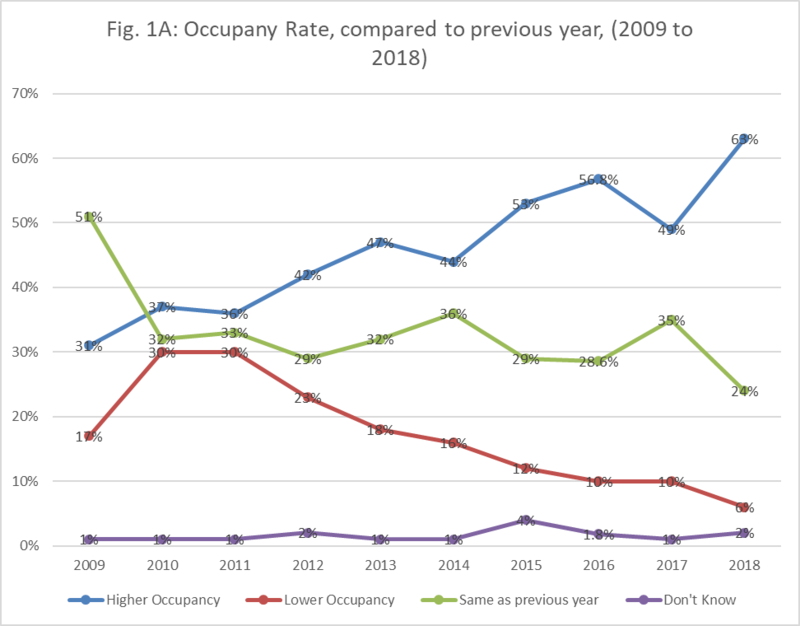 The number of facilities reporting decreased occupancy rates has been steadily decreasing since 2011. About one-quarter of facilities remain at a steady occupancy rate. See Fig. 1A. Fig. 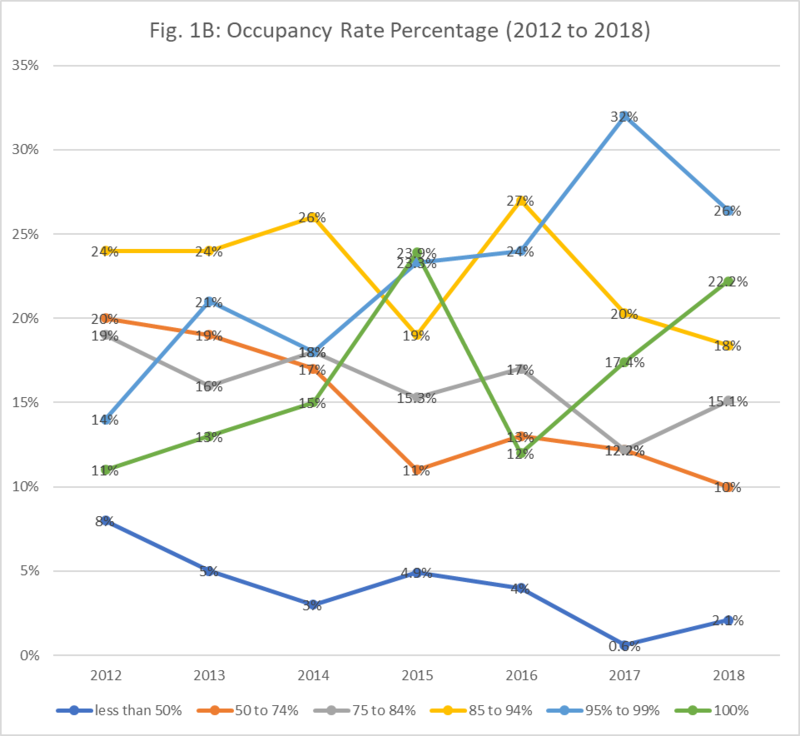 1B shows the overall occupancy rate percentage from 2012 to 2018. The number of marinas with less than 50 percent occupancy is mostly on a steady decline. The last two years the largest number of facilities had 95 to 99 percent occupancy. A large number also had 85 to 94 percent and 100 percent occupancy. The number of facilities reporting increased profits remained high and steady this year, nearly 60%. About one-quarter of the industry is also maintaining steady profits. 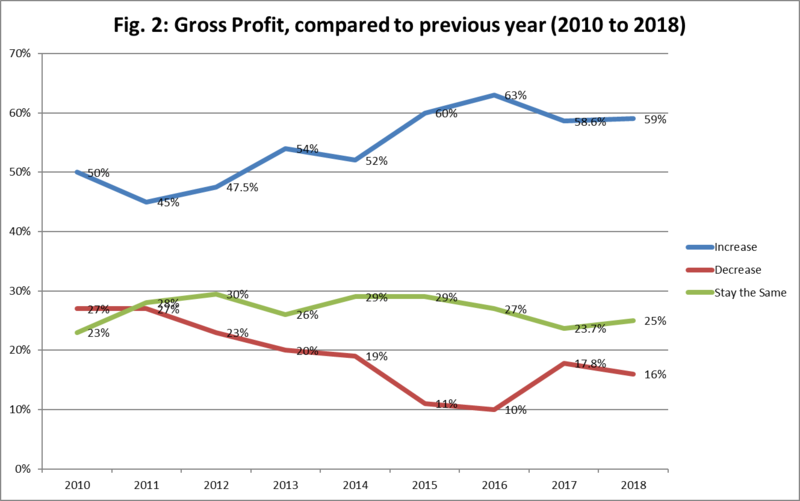 The number of facilities reporting decreased gross profits dropped again this year and remain a minority. See Fig. 2. 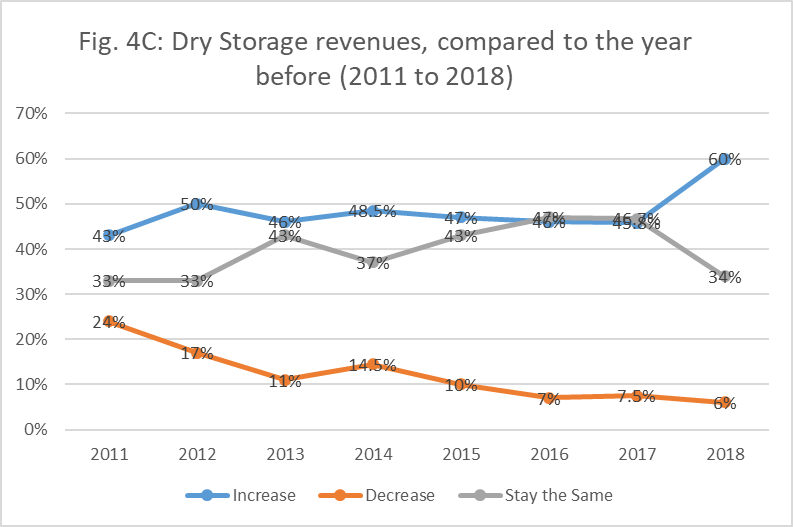 The industry continues to see an increase in the number of facilities reporting increased expenses, more than three-quarters. 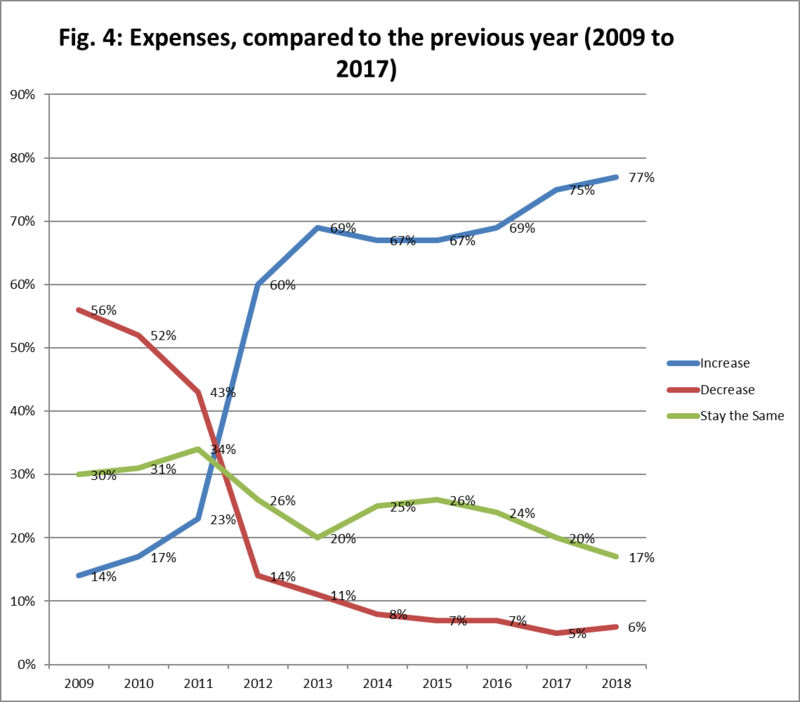 A low minority continues to report a decrease in expenses, down from a high in 2009. See. Fig. 4. 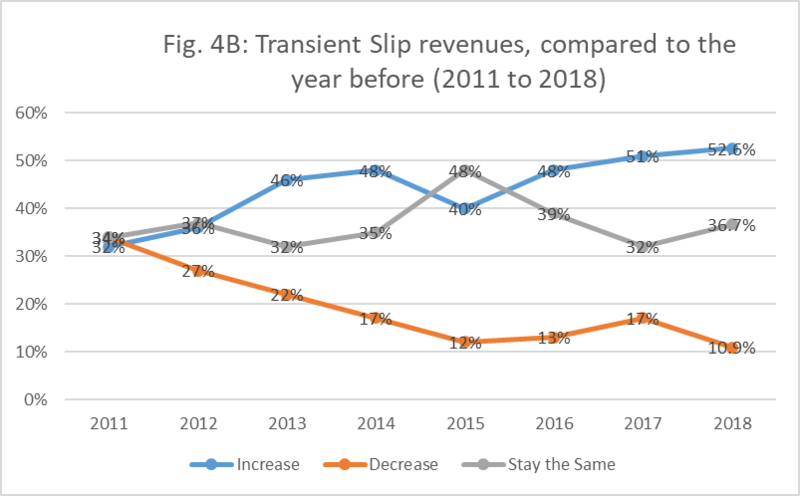 The survey tracks individual product and service revenues back to 2011. 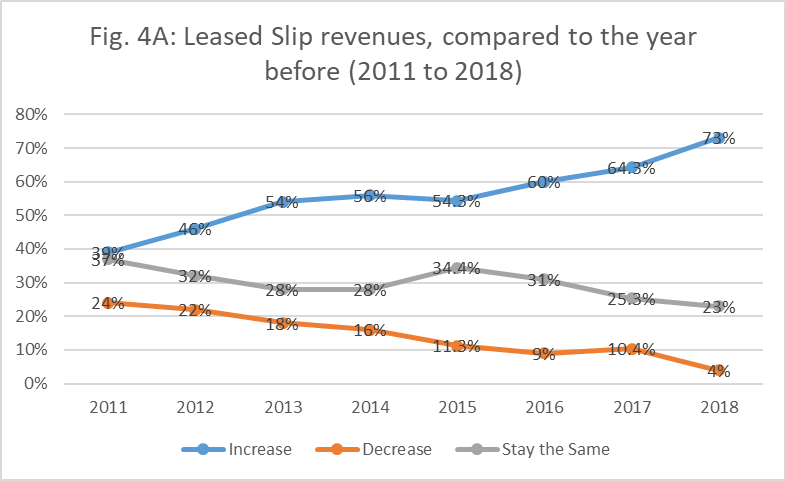 This article looks at leased slip, transient slip, dry storage, fuel, boat repair/maintenance and boat club revenues. 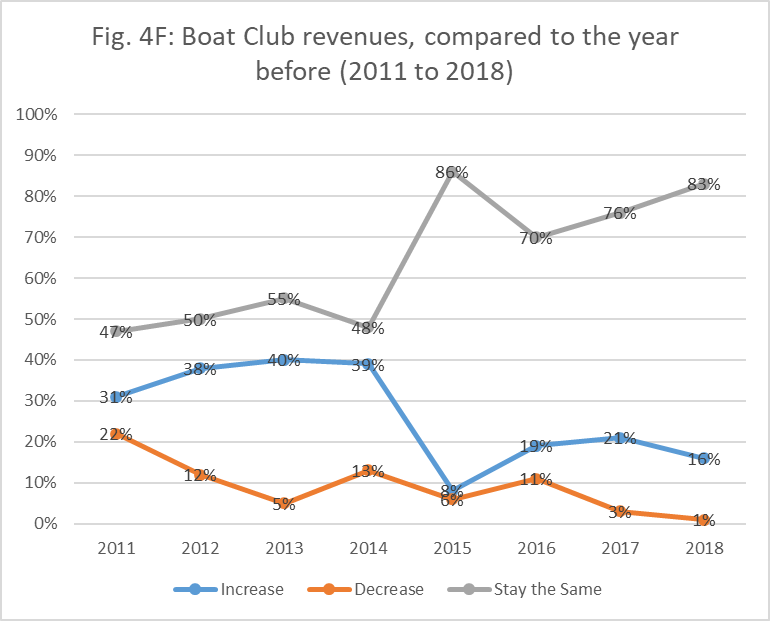 For more on other product/service revenue trends (boat rental, boat sales, launch ramp, ship store and more, see the full results in the new Trends Report.